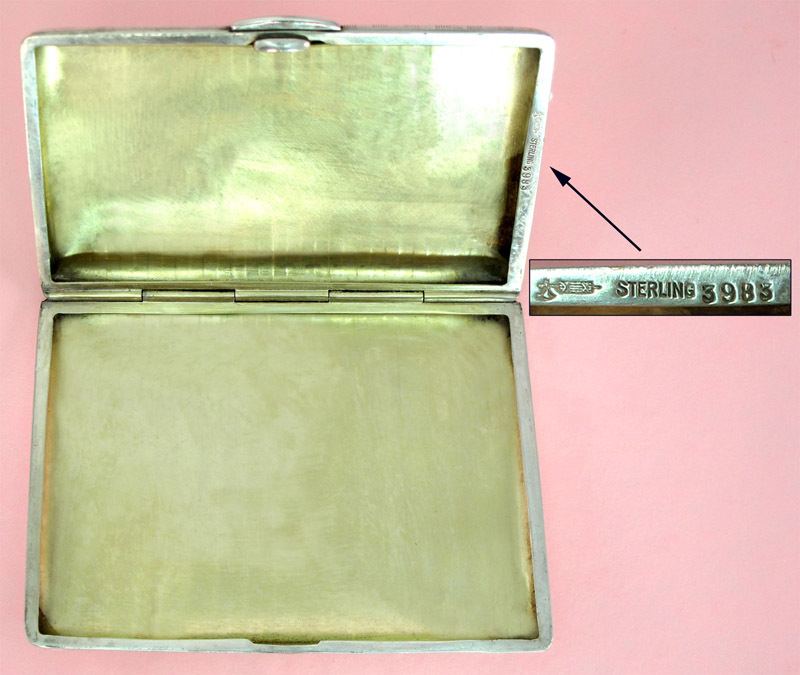 Art Deco sterling cigarette case made by William B Kerr & Co. originally based in Newark, New Jersey. 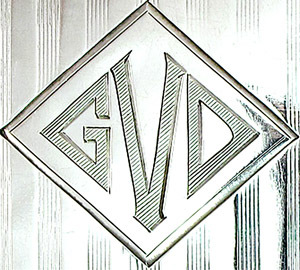 The case is in excellent condition and has the monogram GVD. 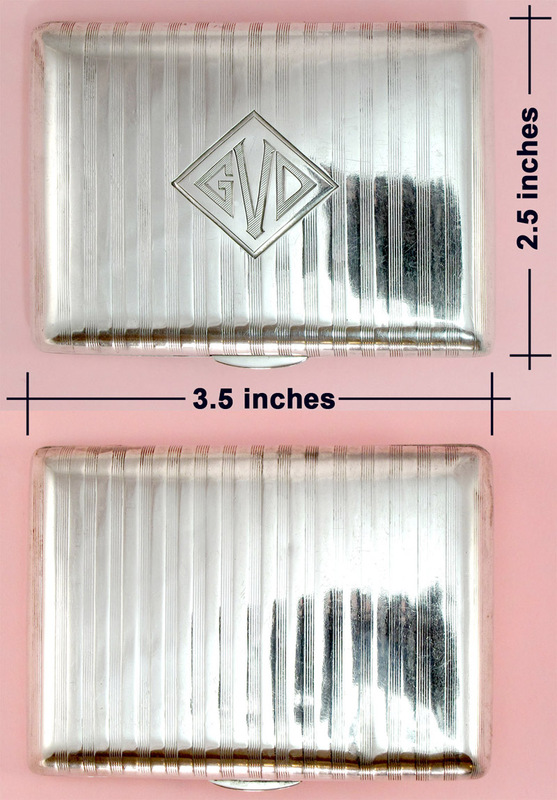 It measures 3.5 inches by 2.5 inches and weighs 2.62 troy ounces. Gold vermeil inside. see photos below. Maker: William B. Kerr & Co.